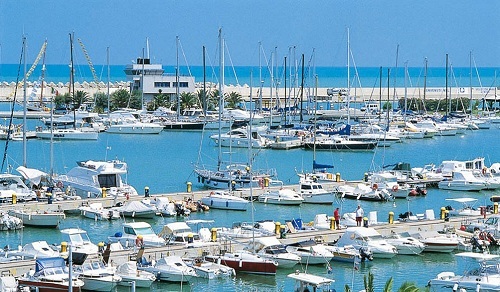 Pescara, the most populous city in Abruzzo and also the most appreciated and popular seaside resort in the region, thanks to the almost 10 km of splendid beach sided by the pine woods. 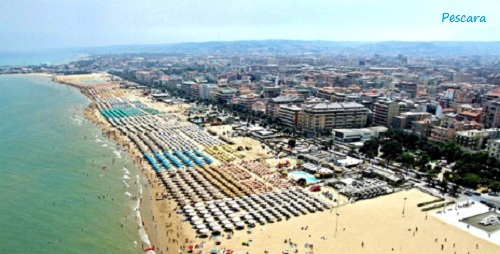 Pescara's seaside location is one of the biggest reasons that it's such a popular tourist destination making it the perfect location for a summer vacation.The sea is crisp and cool, and wonderfully clean. In addition to the maritime leisure, Pescara offers summer engaging theatrical, musical and cultural events, among which the International Jazz Festival and the Prize Flaiano. 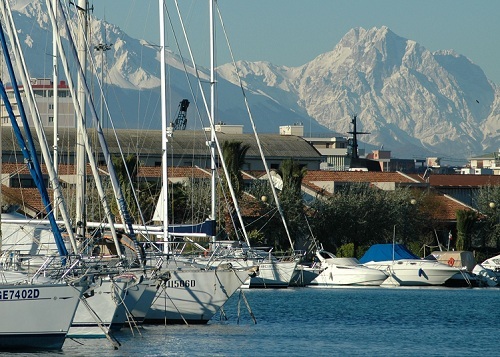 The tourist harbor Marina di Pescara is the most important of the Abruzzo coast. The port also offers boat services to Croatia. Enjoy the wonderful beaches. The entire shoreline il dotted with "stabilimenti balneari" and ombrelloni, each with his own name and color scheme. You can dine, enjoy a pizza or caffe' in all of them. Red flags means no swimming...white flags you can enjoy the wonderful Adriatic sea. Free beaches are limited but quite easy to find. 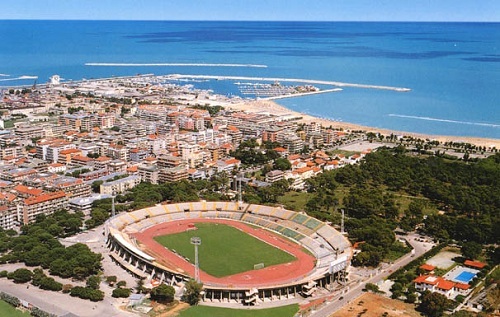 Along the coast from Pescara Centre and the stadium you can find about 6 free beaches. Some of them are only 500 meters distant from each other. 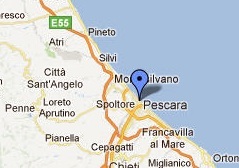 In Montesilvano (north of Pescara) and Francavilla (south) you can still find free beaches. 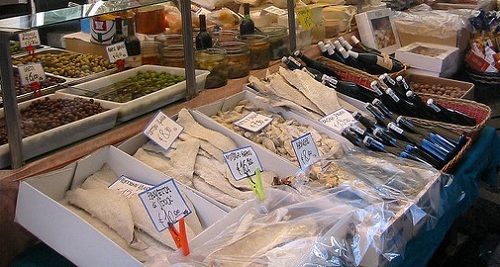 Mondays are market days in the area of the stadium. Small charming characteristic towns, open markets and local festivals in the nearby area are ideal for day trips to explore. And in the evenings, the beach cafes and the old town of Pescara Porto transform themselves into vibrant night spots. Chi visualizza Made in South Italy Today.com piace il SUD ITALY. Vuoi dire loro qualcosa?